MT 798 – What is SWIFT MT 798? Trade Finance Global / Letters of Credit / MT 798 – What is SWIFT MT 798? MT 798 is a multi-bank messaging type which is used for international trade – import, export and standby Letters of Credit. 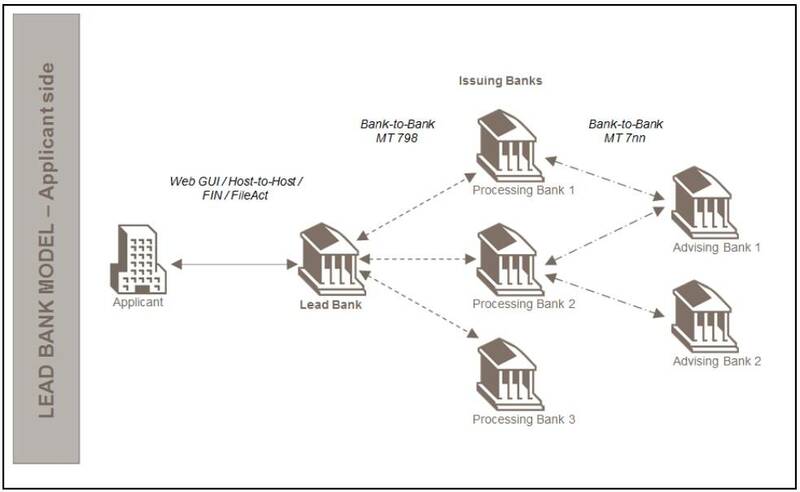 If you deal with international trade financing through instruments like Bank Guarantees, Documentary Credits, and Letters of Credit (LCs), you may have heard of FIN MT 798, which is a category 7 SWIFT code which supports the processing of bank guarantees and documentary credits between banks around the world. 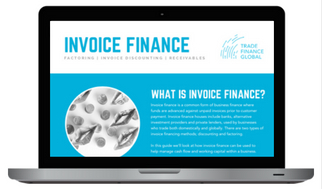 In trade finance, there are several bank-to-bank and corporate-to-bank messaging systems which allow for the flow of information relating to trade finance transactions. 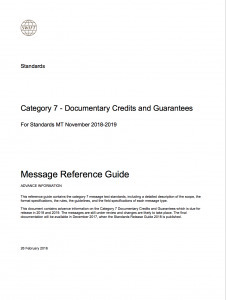 MT 799, MT 760 and MT 798 are the three most prolific messaging types for documentary credits, standby Letters of Credit and Bank Guarantees. 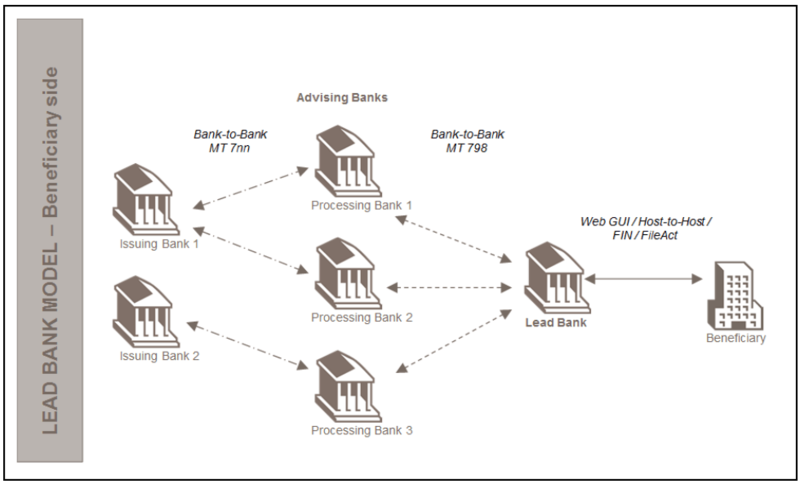 The following workflow shows a typical messaging service between an applicant and an advising bank, and also the reverse, between a beneficiary and the issuing banks, and where MT 7nn fits in. What is the format of the MT 798? Depending on the type of transaction (e.g. 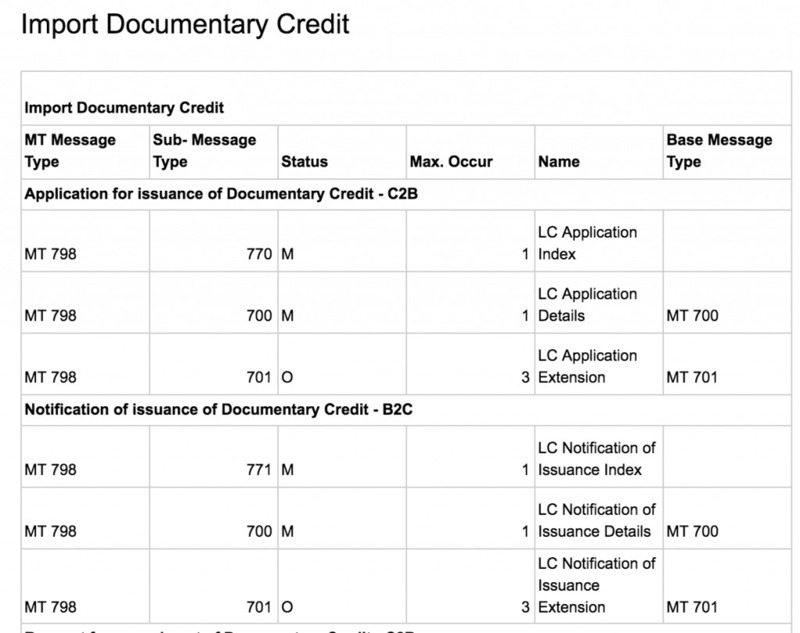 applying for a documentary credit, issuing an SBLC, or perhaps refusing a Letter of Credit), the format differs, and the sub-messages which are incorporated into the MT 798 will be different. 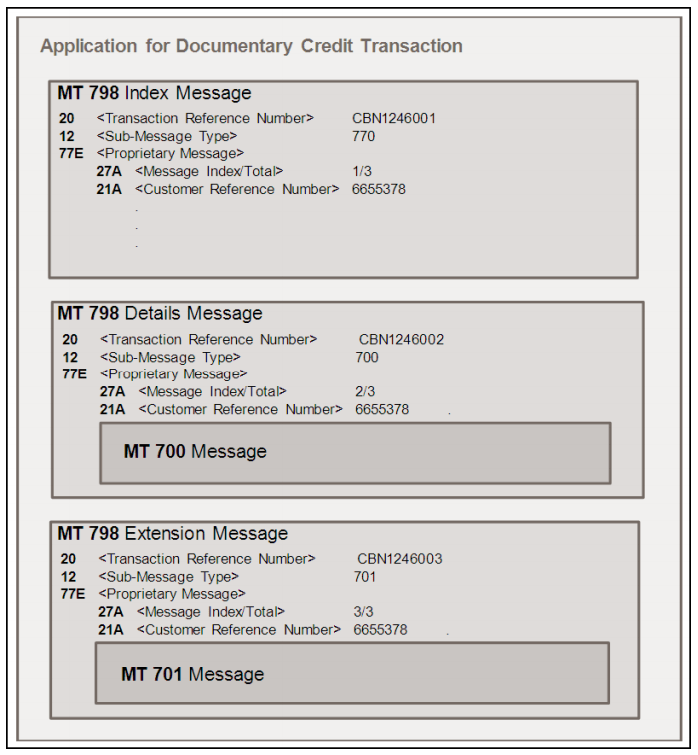 Here’s an example of an application for documentary credit transaction, which includes the index message (essentially the contents of the MT 798), the details messaging and an optional extension message which can incorporate other messaging types. 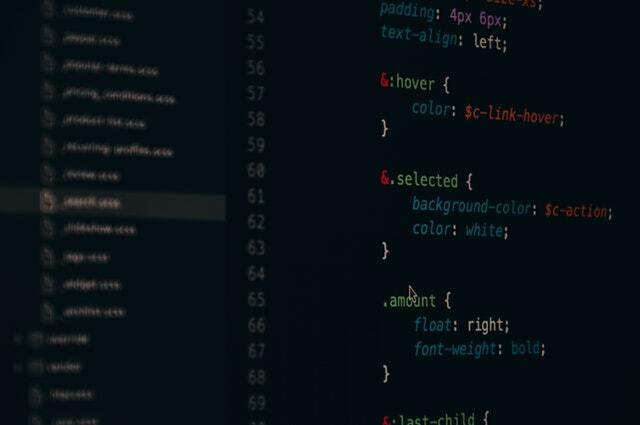 What is the format of MT 798? What information is required by the financial institution? A funder will need to know the name of the advising bank. However, they will request more granular detail, such as the LC Number and LC Amount. This will also include the tenor or length of the draft. This will be alongside the latest date of shipment. The company that is liable for the confirmation fee needs to be known; along with information on what the products are being traded, location, port, unloading location and whether the LC is restricted for negotiation or not.